Technology is revolutionizing the work we do and how we do it. 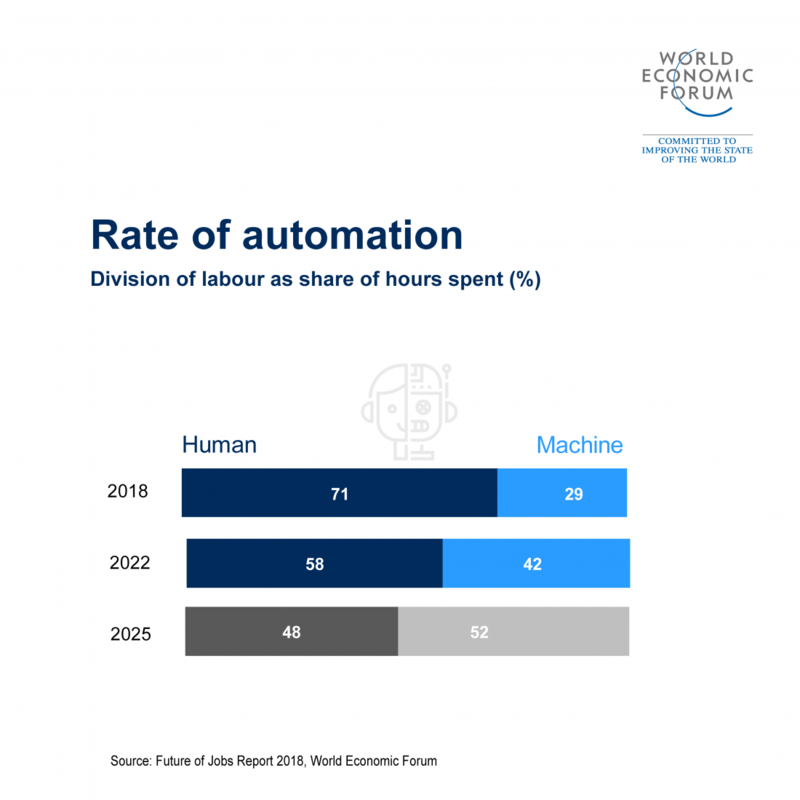 Increasingly, artificial intelligence (AI) and robots are taking over menial and repetitive tasks, leaving humans to concentrate on work that requires critical thinking. But as machines become better at imitating human intelligence, they’re beginning to do more and more thinking for us. In a recent study, LawGeex, a legal tech startup, challenged a group of 20 experienced lawyers to test their skills and knowledge against its AI-powered algorithm. The group included associates and inhouse lawyers from global firms such as Goldman Sachs, Cisco and Alston & Bird, as well as general counsel and sole practitioners. The task was to review risks contained in five non-disclosure agreements (NDAs). The AI matched the top-performing lawyer for accuracy – both achieved 94%. Collectively, the lawyers managed an average of 85%, with the worst performer recording 67%. When it came to speed, the AI far surpassed the legal minds, taking just 26 seconds to review all five documents compared to the lawyers’ average speed of 92 minutes. The speediest lawyer completed the review in 51 minutes – over 100 times slower than the AI – while the slowest took 156 minutes. The AI clearly outperformed the humans in this experiment. And although consultancy McKinsey estimates that 23% of legal work can be automated, there are many other aspects of a lawyer’s working day, like briefing clients and appearing in court, that are beyond the capabilities of algorithms, at least for now. One thing is certain though: AI and machine learning are already part of our daily lives; from ordering groceries via Alexa to Netflix suggesting a film or TV show we might like. It’s a global market that is growing exponentially. Global business value derived from AI is forecast to be $1.2 trillion in 2018, and $3.9 trillion in 2022, according to Gartner. AI and automation have transformed industries like manufacturing where robots have replaced humans in warehouses and factories, selecting, joining and assembling parts in a whir of efficiency. And these technologies are now progressing in more complex tasks. New applications are appearing in industries like medicine, finance and design. For example, the medical profession has unveiled an AI “doctor” that can diagnose patients. What Types Of Customer Questions Can AI Really Answer? December 26, 2017 ciopride Comments Off on What Types Of Customer Questions Can AI Really Answer?